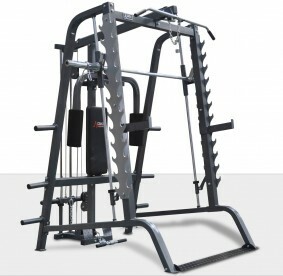 The DKN Linear smith machine provides the super smooth action that all good quality Smith Machines have in common. The Solid Guide rods are hard chromed and placed at a 7 degree pitch to align with your natural body movemen. 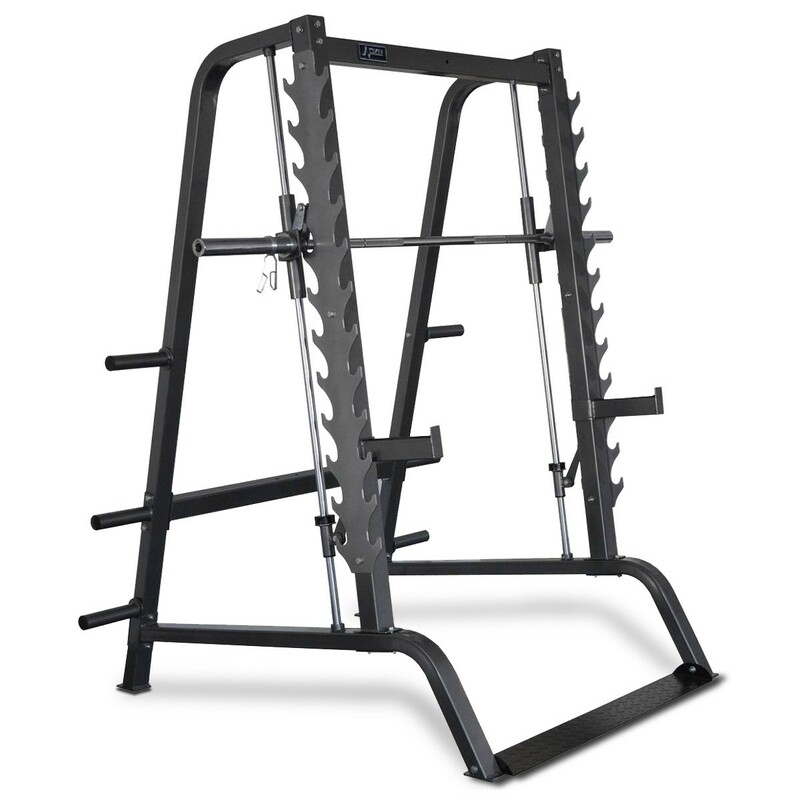 Linear bearings ensure the bar moves with silky smooth precision whether your training involves faster explosive movements or a slower more controlled style. 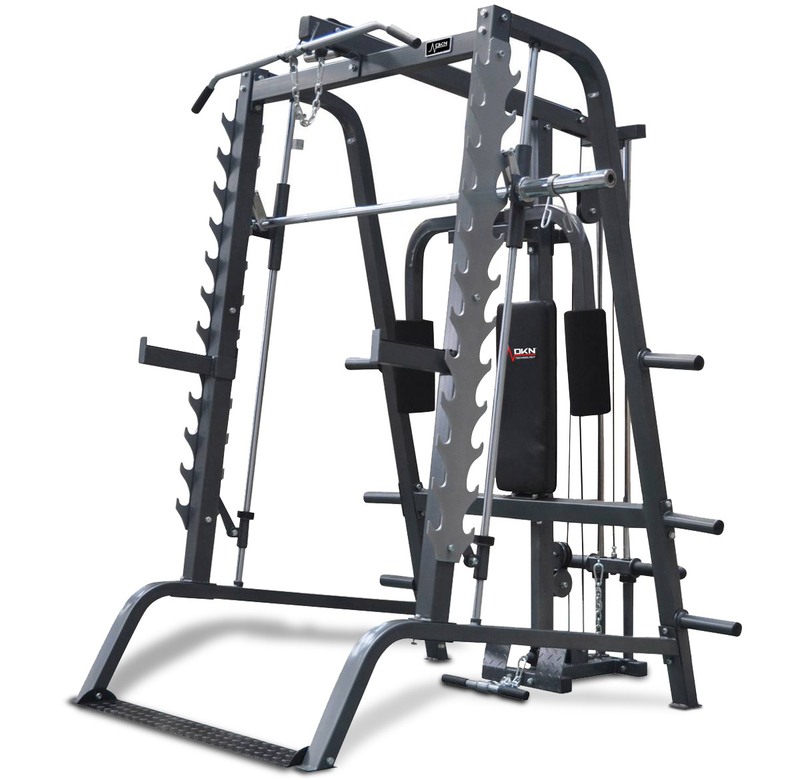 Safety is also paramount and two solid steel safety catchers provide reassurance when you are pushing to the limit, a multi position rack is also present on the uprights enabling you to perform free weight barbell exercises if required. 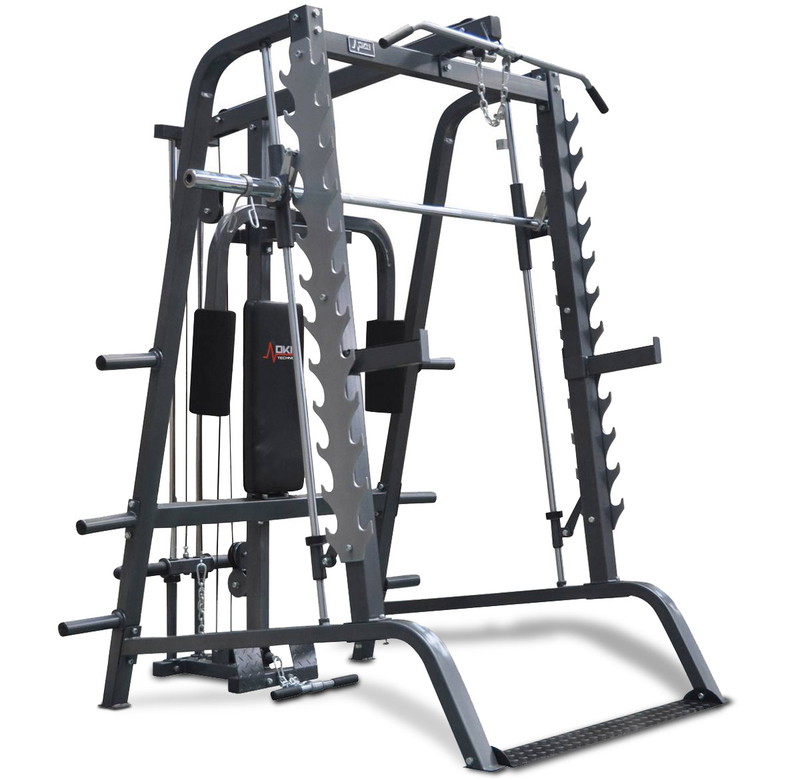 As an optional extra there is a Pec Deck and high/low pulley system to fit this machine therefore adding the popular cable exercise’s to your workout options. 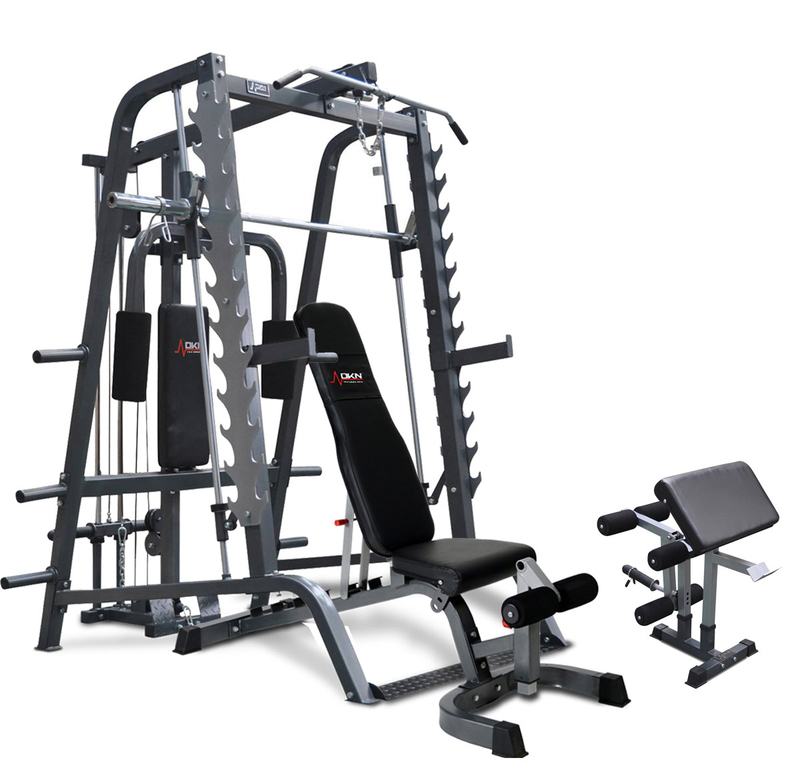 Key Stations: Shoulder Shrugs, Squats, Chest and Shoulder press, Lat Pulldown, Low Pulley, Pec Deck (optional high/low pulley required). Dimensions 149 x 220 x 215 cm (LxWxH). 220 cm Solid Olympic Lifting bar. Solid Guide Rods, hard chromed. 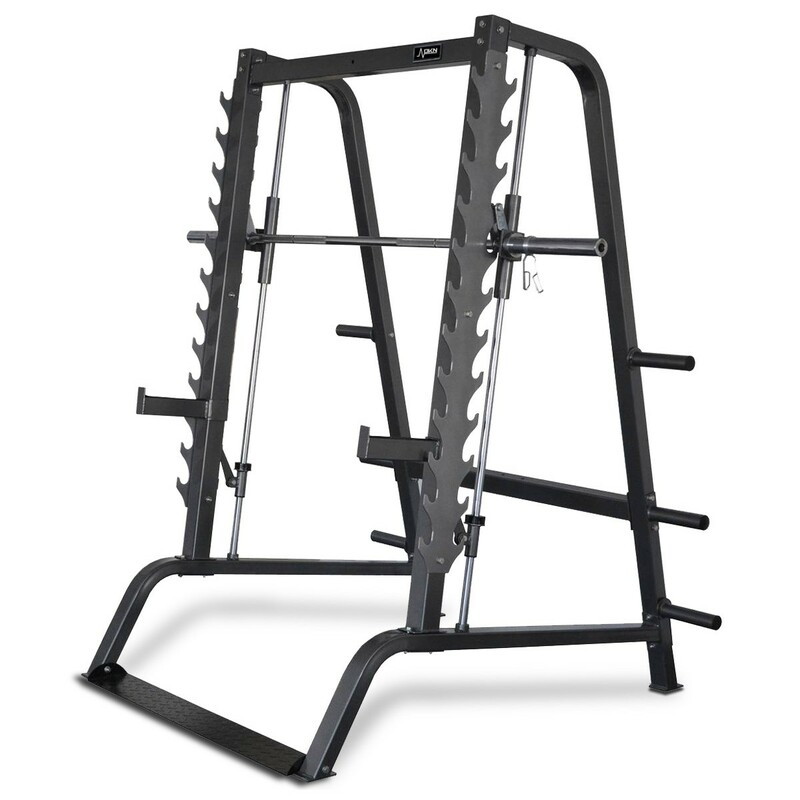 Multi-position rack for free weight barbell work-out. 2 solid steel bar stops (42 cm). 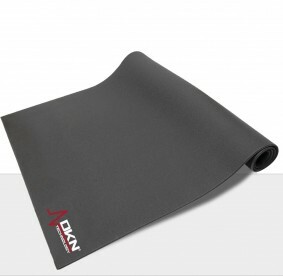 Complete your Linear Smith System with the DKN Heavy Duty Weightbench.